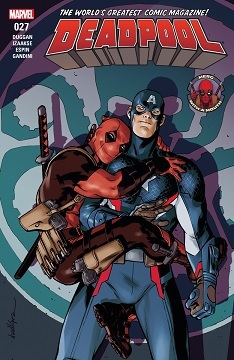 scans_daily | Deadpool #27: "And Now for Something Completely Different"
Interesting, though I fear it will have no relevance in the Secret Empire series, which already looks like it will be yet another alternate universe event like "Age of Ultron" and "Secret Wars". I can already see in my head the ending where the entire world is FUBAR, and the only one who can fix it is that Cosmic Cube girl Kobik. Except it's not an alternate universe. 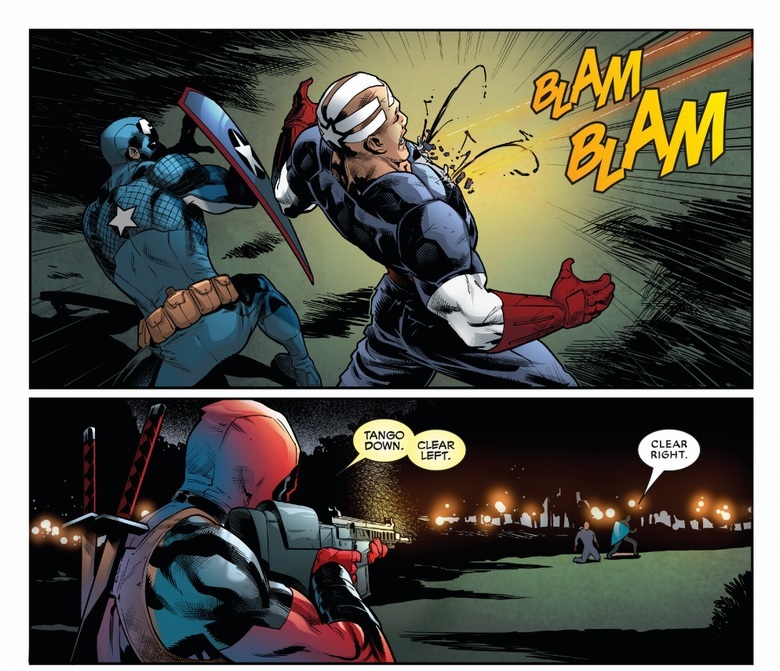 So, was Deadpool in this issue any more than this, or was it more of an issue of Agent Coulson? 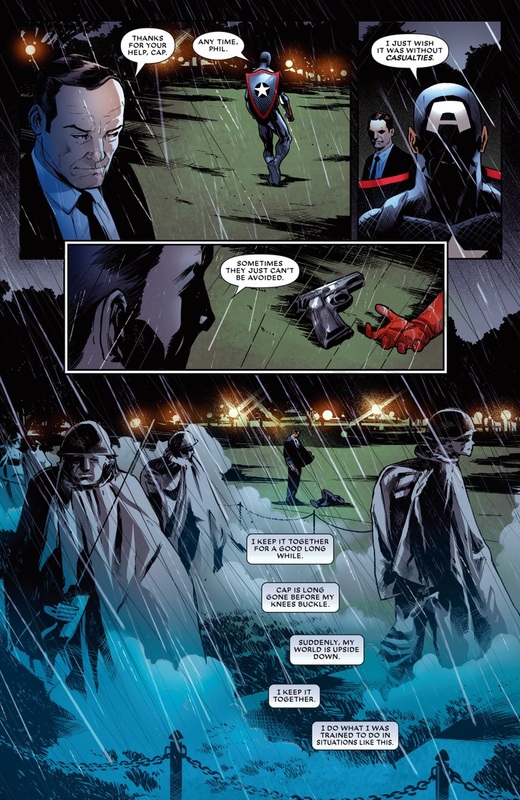 Yes, Deadpool was in most of the issues with them together while Coulson narrates, afterwards Cap tells Deadpool to reach out after his crisis with Shiklah is over and that's where Coulson goes his own way. He spotted Time Travellers that fast? 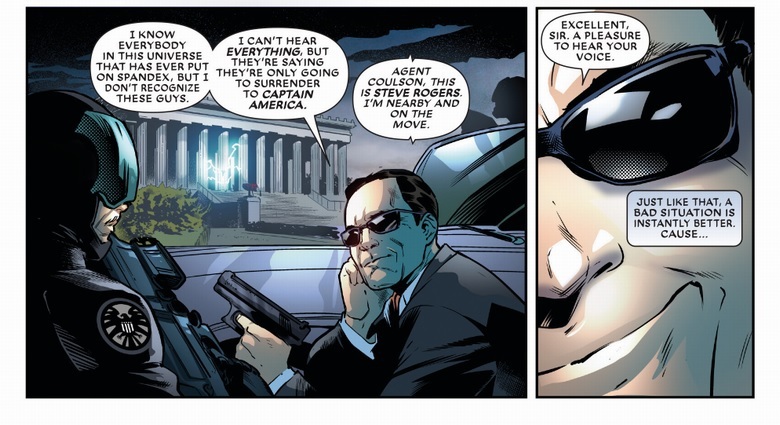 Steve Rogers has peak human genre savviness? 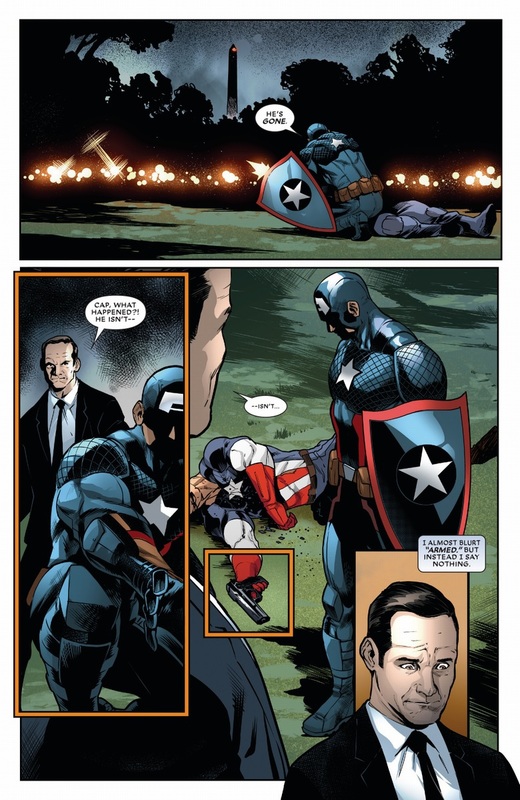 The Super Soldier Serum enhanced everything. 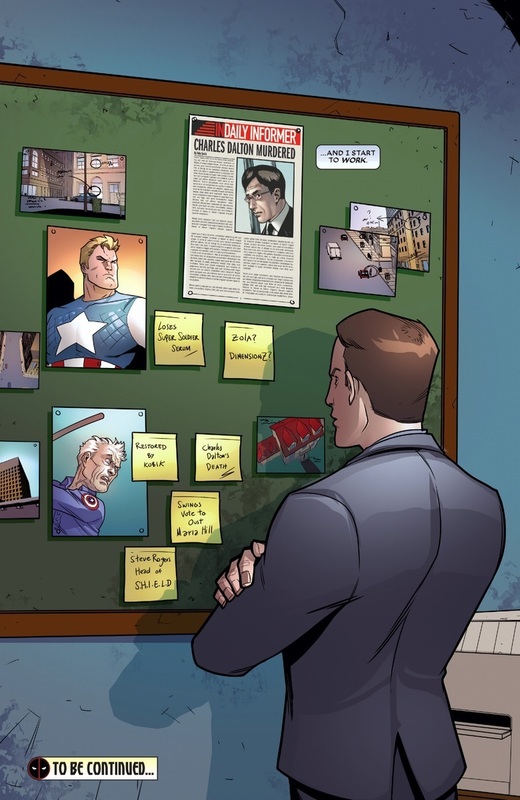 I guess Steve doesn't use Shield's shower facilities much. That tattoo does seem a bit unwise, what's he supposed to say if anyone sees it? "Ph'nglui mglw'nafh Cthulhu R'lyeh wgah'nagl fhtagn." ?? It's not a tattoo, he just paints it on when he's by himself. 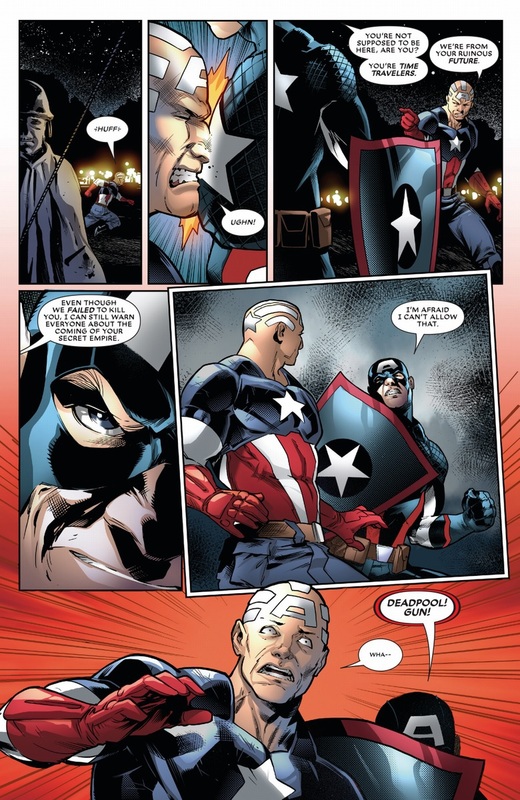 I really love the reverence and respect Wade has for Cap, as well as the trust Cap's been placing in Wade of late with the Uncanny Avengers and all. Phil's on the job! There are some people who are just good at putting together the pieces. It looks like this takes place around the Korean War Memorial. Glad to see that memorial finally getting some recognition. Like the war and its veterans, it's often overlooked. I kinda suspect we're going to get another "Nomad" phase or something like that. That definitely could be interesting! I don't think there will be any mind wipe. 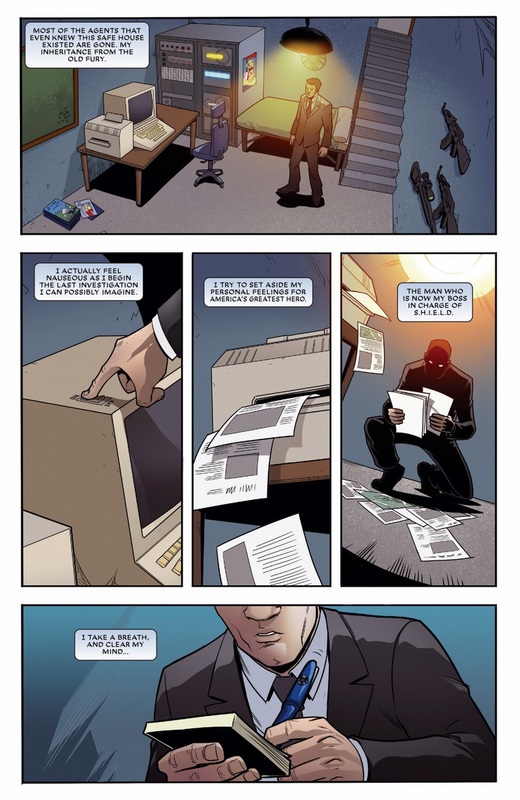 Kobik might restore him, but beyond that.